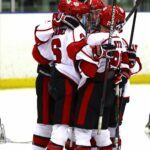 Utah won back to back games against BYU beating them 8-4 on Saturday. This game marked Utah’s 29th straight undefeated game against the Cougars. Utah pressured BYU from the moment the puck dropped on Saturday. Rookies Owen Leberknight and Giovanni Bastone scored within the first minute of the game at 19:39 and 19:02 with Leberknight being assisted by David Barnes, and Bastone assisted by Austin Tautfest. Connor Meaney followed up with a goal of his own with 13:17 on the clock, assisted by Austin Tautfest and David Barnes. After being released from the box, Tautfest retrieved the puck from behind the net, battled for position and took a shot. Former Ute Goaltender Jared Manzella deflected the puck onto the stick of Zachary Jerome who tapped the puck in on the rebound at 8:07 of period. On the Utah PP Brett Myer and Tristen Leberknight played keep away in the offensive zone each looking for a shooting lane. The play continued till rookie Wyatt Light placed the puck neatly behind Manzella’s shoulder at 5:01 of the period. 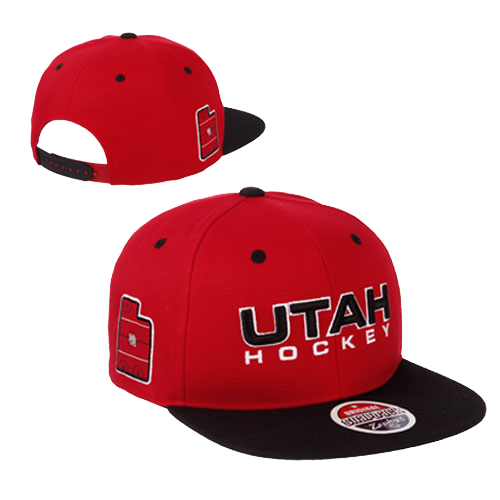 The Utes controlled the entire period, but a costly mistake at 00:07 of first, cost Utah a goal and put the score at 5-1 in favor of Utah. Chaos erupted in the third period when BYU took advantage of several Utah penalties and scored three times on the Power Play. Jerome responded with the final goal for Utah assisted by Meaney and Bastone at 10:59 of the third..
Jake Slaugh made his third appearance in the goal this season with 23 saves. Utah allowed 4 goals, all of which were power play goals. 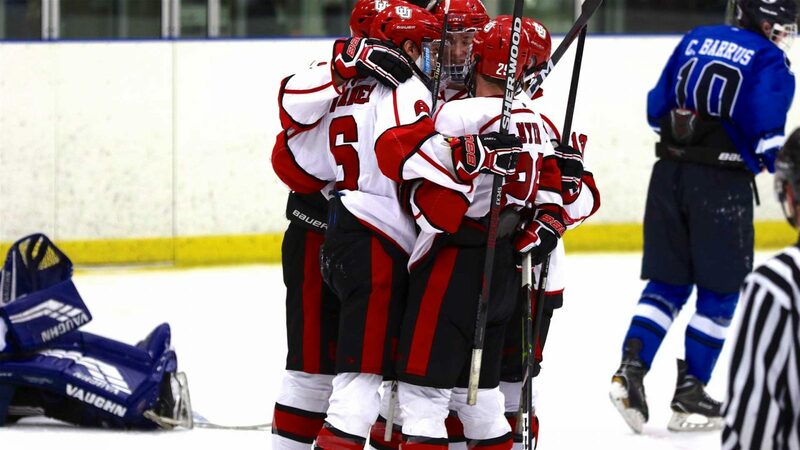 Utah will hit the road again next week to face Adrian College, Calvin College, and Michigan Dearborn.